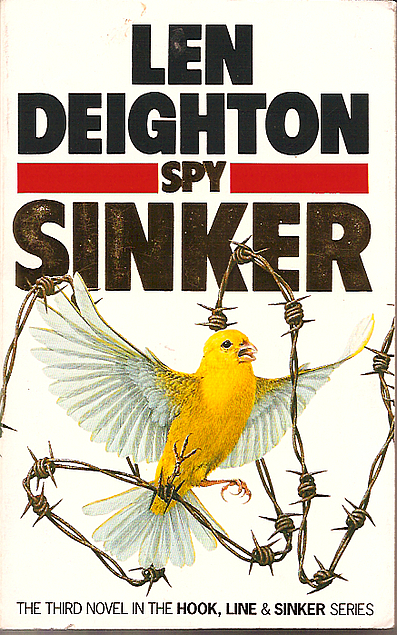 Spy Sinker by Len Deighton was first published in 1990 and I hooked it out of the overflow bookcases in the garage ages ago. I can’t understand why it took me so long after that to read this last book in the Hook, Line and Sinker trilogy. It is of course a continuation of the Bernard Samson story. Bernard hadn’t ever really fitted perfectly into the world of British spies that he had more or less been born into. His problem is that his father had decided not to send him to the right public school back in England, so Bernard had been brought up in Berlin, and as we all know – to get on in so many British institutions you must have the correct old school tie. As ever, I can’t say too much about the story for fear of ruining it for any subsequent readers. But I’m assuming that it’s Bernard’s lack of the right background that singled him and his wife out for special treatment that they could well have done without. This was an absolute cracker of a read.